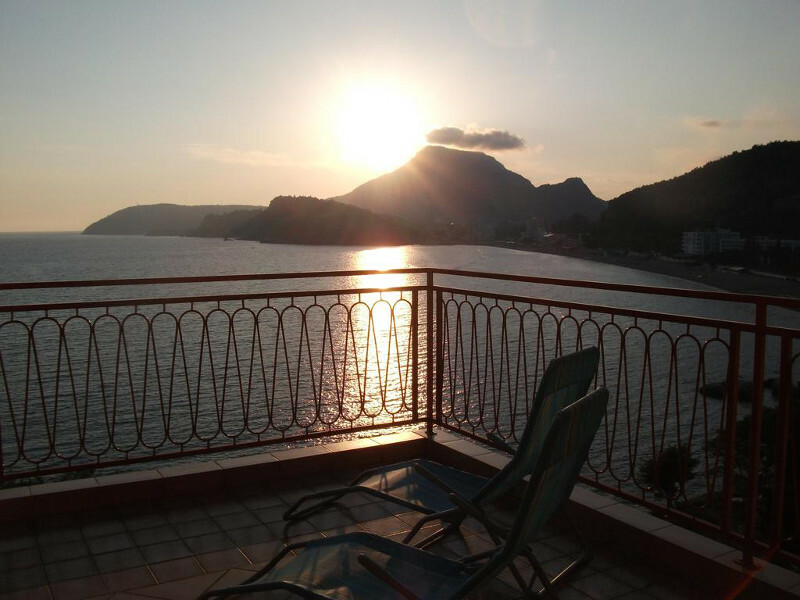 Apartments in Montenegro - Enjoy your holiday in one of our four spacious apartments in a top location with a beautiful view over the Adriatic Sea and the bay of Sutomore. 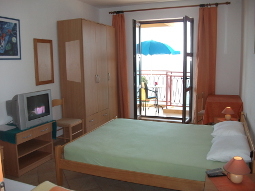 Our apartments are appropriate for families or couples, also larger groups who want to book more than one apartment. 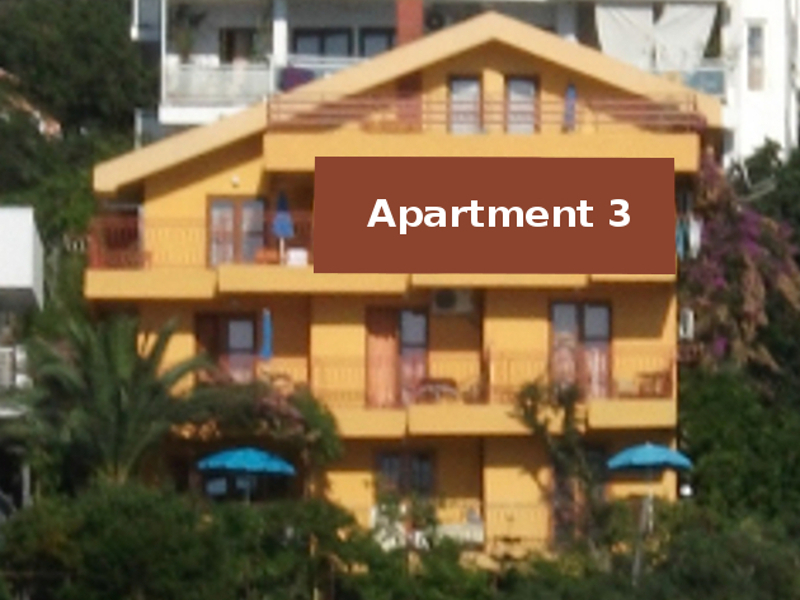 Your advatages: English and german speaking family with 30 years experience in renting apartments in Montenegro to tourists and best knowledge in the tourism sector in Montenegro. Park your car comfortable directly beside our house on our own parking area, which is closed during the night. 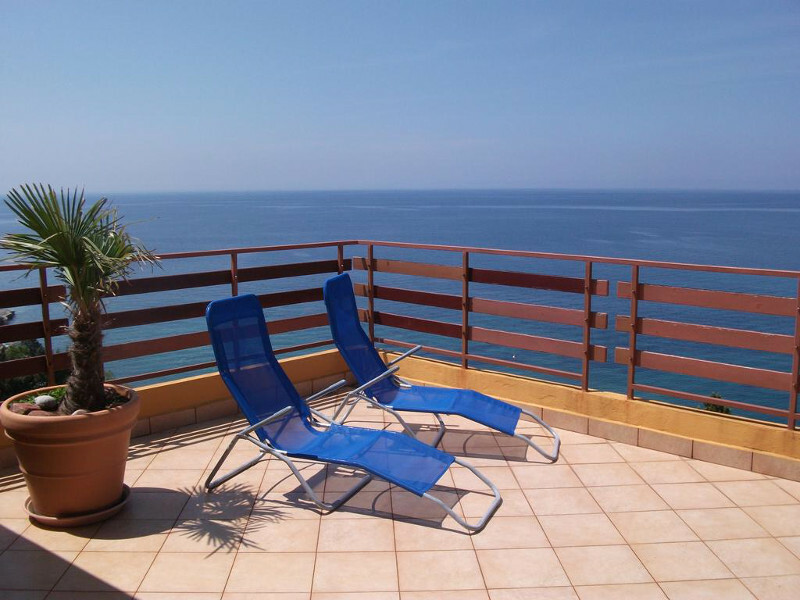 Enjoy the nearness of the 1.2 km long sandy beach, restaurants and supermarkets. Our prices are final, which means, that there are no more costs during your stay. Tourist tax, parking space, air condition, satelite TV, WLAN Internet access, fresh bedsheet, end cleaning of the apartment after you have departed and consultation during your stay are inclusive. 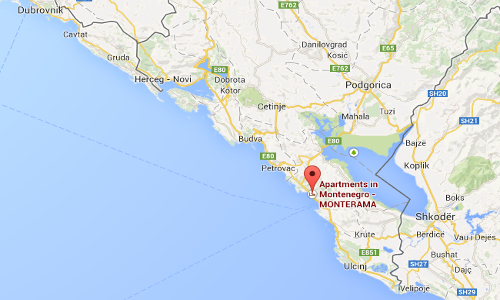 Our house is located in the central coast area of Montenegro. A direct connection through the tunnel of Sozina allows you to get in the shortest time to all main hot spots of Montenegro with your car. 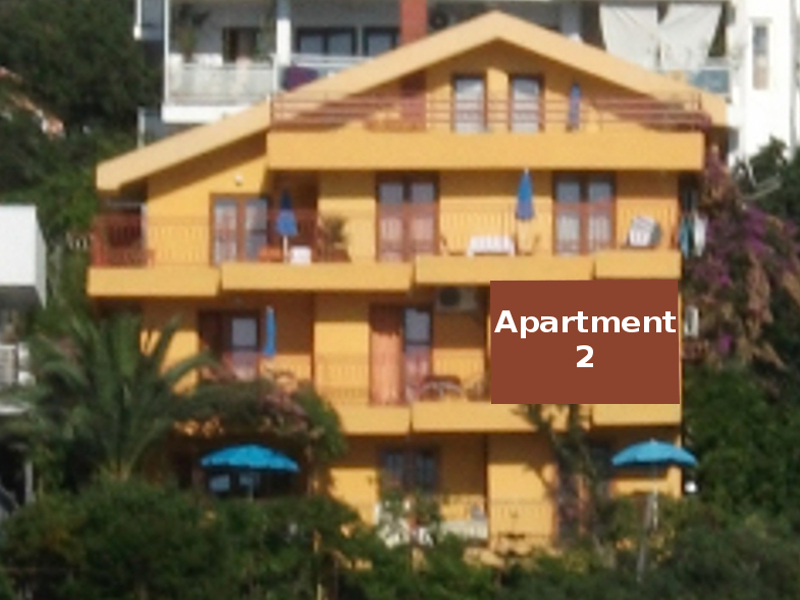 Feel free to ask us any qustions concerning your booking of our apartments in Sutomore in Montenegro. RESERVATION: 30% deposit payment / 70% rest payment. Deposit payment methods: bank transfer, PayPal or Western Union. 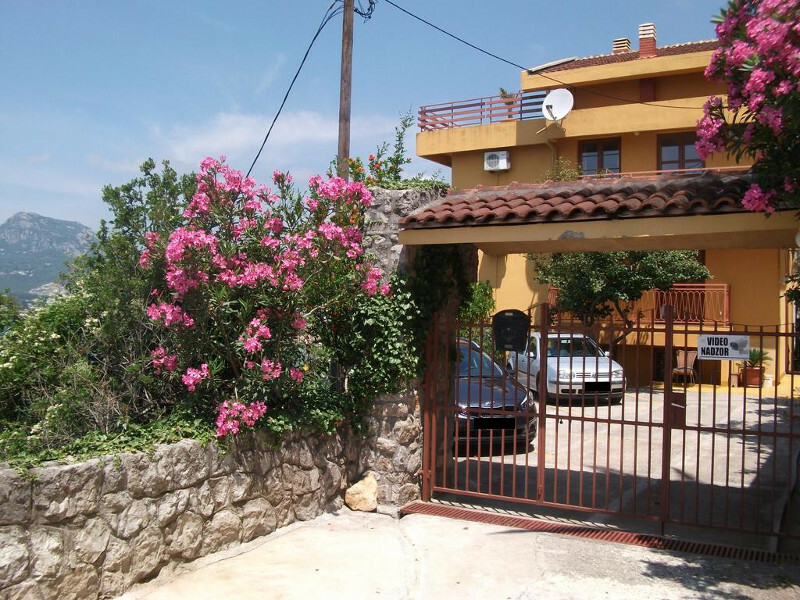 For the exact location of our house in Sutomore click here. 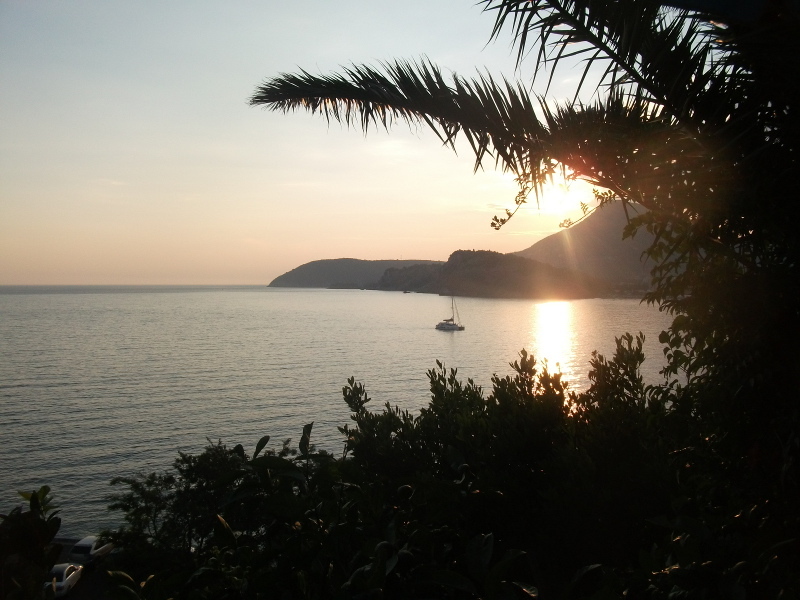 Montenegro is a small country at the Adriatic Sea. It has just about 630.000 residents. The surface of the country is just about 13.812 m². The coastline is one of the most beautiful coustlines in the Middle Sea area. 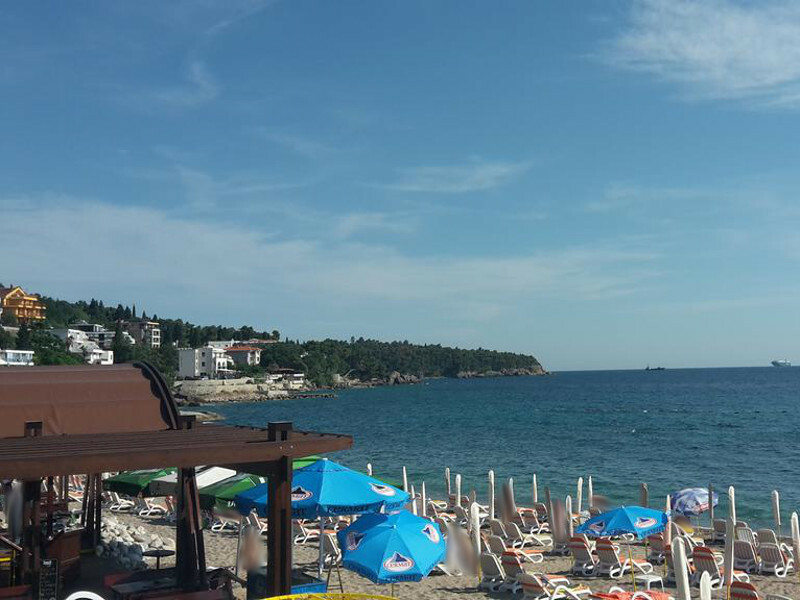 Hot Spots are the Bay of Kotor, the Long Beach of Ulcinj, the Queens Beach and much more nice and clear beaches. 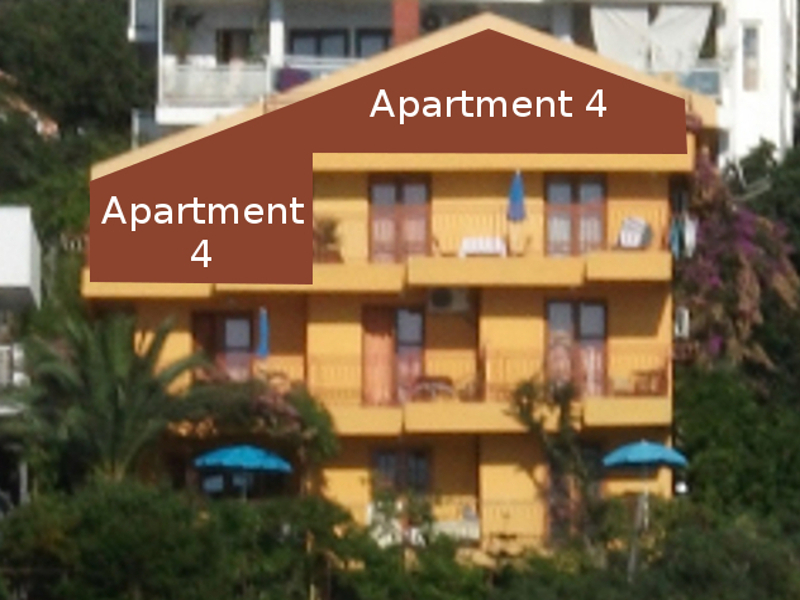 Our apartments are located in the central area of the coastline of Montenegro, so that you have in all directions the shortest way. Also the landscape and hot spots in middel and north area of Montenegro are easily to reach in a short time, because the new tunel "Sozina" through the coaustmountains is located just 3 km away from our apartments. Places you must see, when you are visiting Montenegro are f.e. the capital Podogorica, the mausoleum "Njegos" on the top of the mountain Lovcen, from where you have one of the most beautiful views over the country, the Bay of Kotor, the Old Town of Kotor and Budva, Lake Skutari, National Parks of "Durmitor" and "Biogradksa Jezera" as well as the canyon of Tara (second largest canyon in the world) and the canyon of "Moraca". 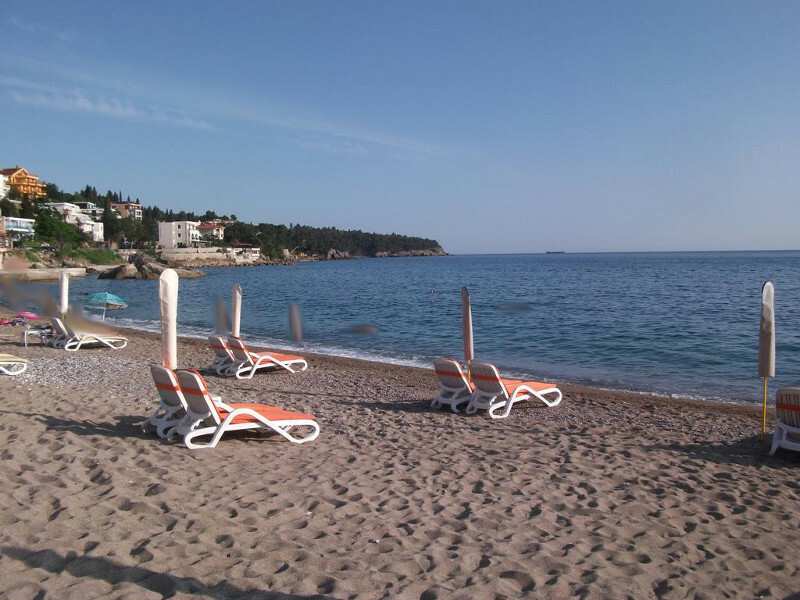 Enjoy your holiday (vacation) at the pearl of the Adriatic Sea "Montenegro". 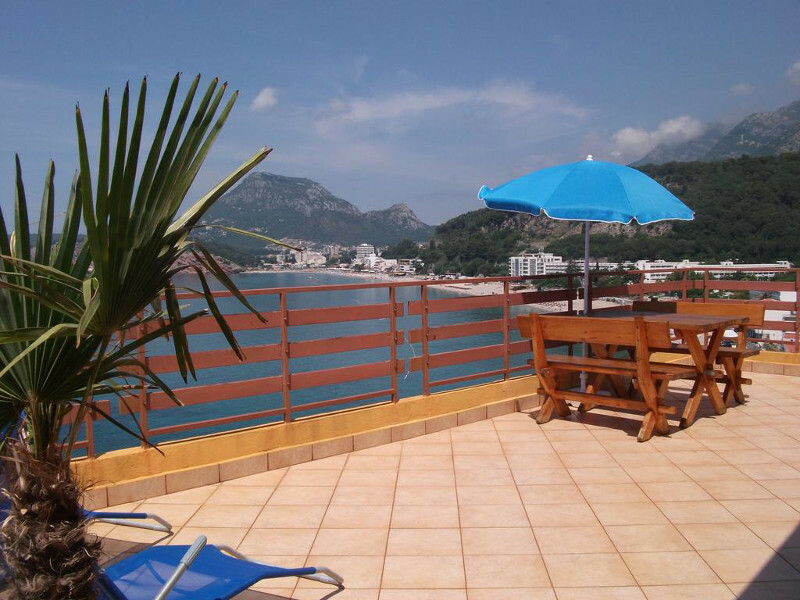 By booking an apartment in Montenegro it is important to you, that the apartment you are booking is clean, that the standard ist right for the price you are paying, that your host is nice, helpful and is caring about you during your stay in Montenegro and many more. 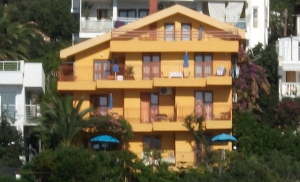 All these aspects we, as your host, are keeping in our mind and are trying to make our apartments, our house and our service from year to year better and better, so that your stay in Montenegro in our apartmenthouse MONTERAMA will be an unforgettable holiday in Montenegro. 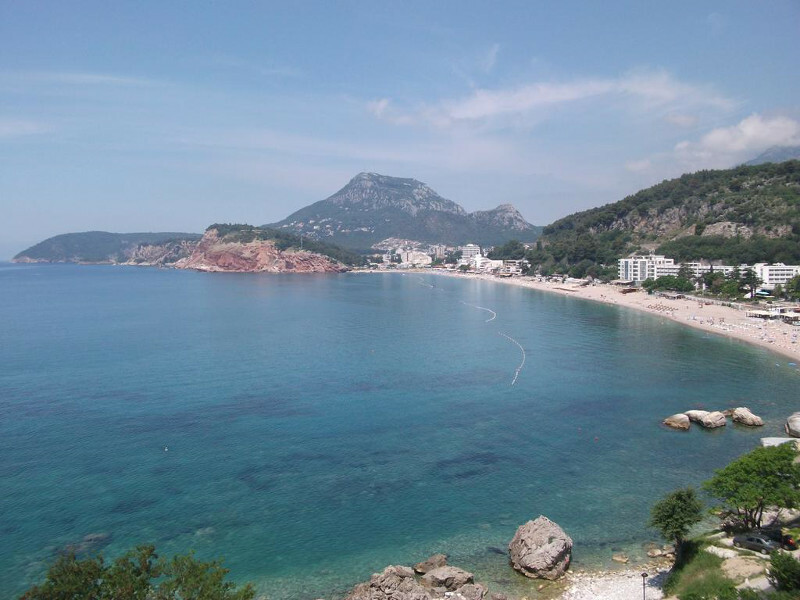 These we are achieving through permanent renovations, modernizations a.s.o., also we are always figuring out which aspects could be im important in the future for tourists who are renting apartments in Montenegro, so that we are prepared on time for the upcoming trends. 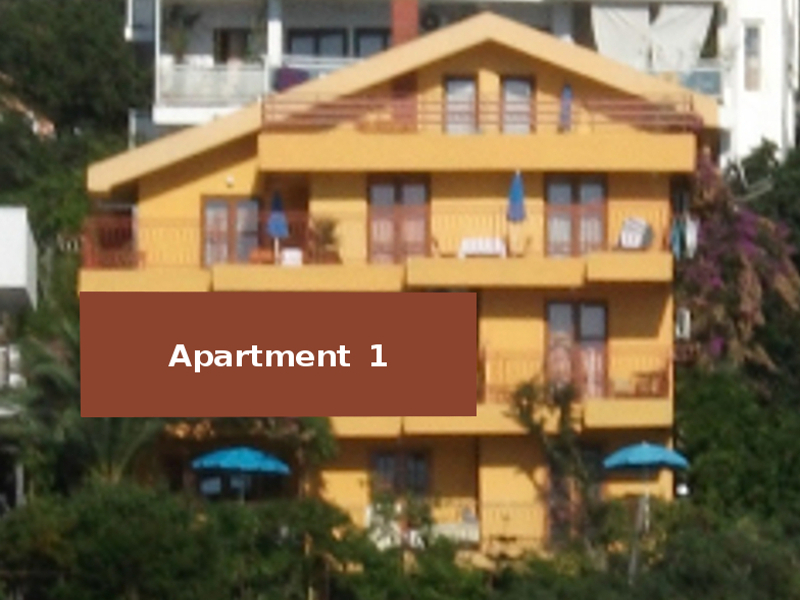 We would be pleased to welcome you as our guest in our apartments in Montenegro. © MONTERAMA. All right reserved.